The Area J™ Pre-wired Pickup set includes bridge and neck pickups, control plate, knobs and a complete wiring harness featuring solderless installation. Bass pickups are usually described with aggressive terms such as "amazing punch" and "thundering lows," but that's not the sound of the Area J™ Pair Pre-wired Pickup Set. They're all about warmth, sustain and a clean, singing tone. The Area J™ set has a very focused attack and power where it counts - at the center of the tone. The lows are very clear and clean and the highs are both smooth and open-sounding. Best of all, there's no hum. 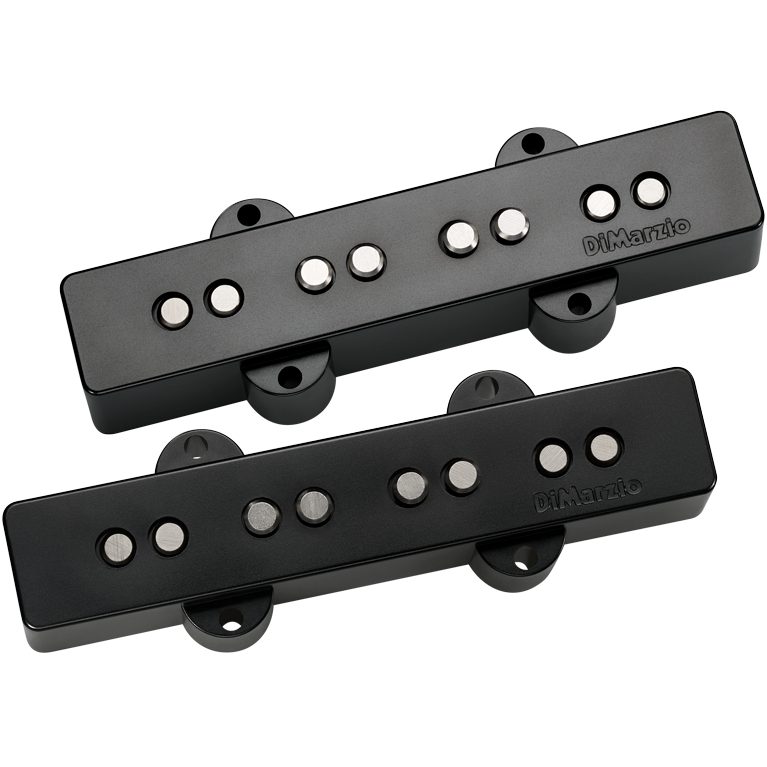 The Area J™ set also has reduced magnet-pull and 4-conductor wiring to allow both series and parallel humbucking modes.